The students in the Christian H. Moe Laboratory Theater are hard at work. Sets are being built and painted, lines are being rehearsed, choreography is being perfected, and there’s always something more to be done. The play focuses on a group of teens in England as they deal with the pressures of their final year of high school. It will feature an all-student cast; all of the production has been completed by students; and even some of the funding has come out of the pockets of students. 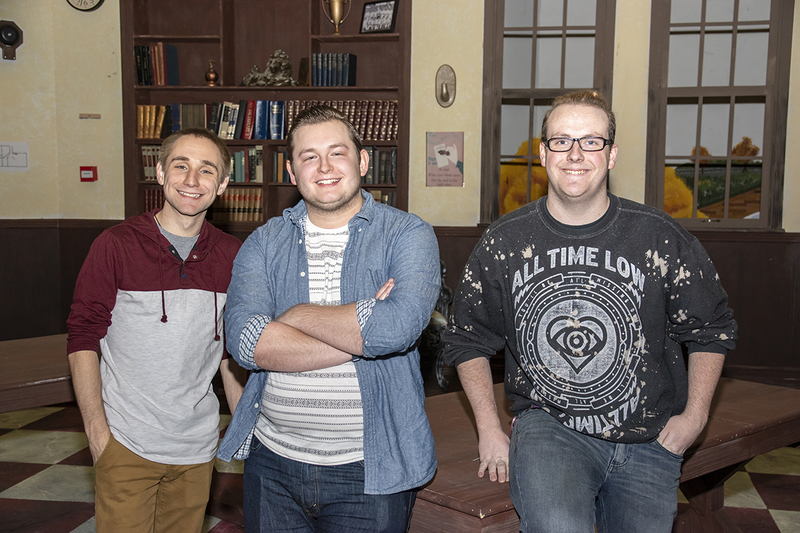 A recipient of the 2018 Verizon Scholarship and Department of Theater Undergraduate Scholarship, Aschbrenner said he and his fellow students are passionate about their work. Christian Boswell, a senior who will portray one of the main characters in the play, is also the fight choreographer. The training he’s received while at SIU is a direct result of his DOT Undergraduate Scholarship. “That’s been what has allowed me to attend workshops all across the country and work with groups like the Society of American Fight Directors,” he said. Burke, who transferred to SIU after earning an associate degree at Rend Lake College, is a recipient of the Ronald Naversen Scholarship for Theater Design and Production. Naversen is an emeritus professor of theater and still an active part of SIU’s program. The play was chosen by many of the students during their freshman year. They decided to make “Punk Rock” their senior project, with the hope of starting a new tradition at SIU. About 25 undergraduate students have been involved in the process. Even though only a handful are featured on stage, many more are working behind the scenes. The planning started in February. The physical production work started in early October. Many students have spent long days – and nights – working on the show. The students are working on much more than acting. They create the sets and secure props and costumes. Behind the scenes, there is woodworking, painting, welding and other disciplines at work. The three performances of “Punk Rock” will be at 7:30 p.m. Friday, Nov. 9, and Saturday, Nov. 10, and 2 p.m. Sunday, Nov. 11, in the Christian H. Moe Laboratory Theater. Tickets are available online at events.siu.edu, by calling 877-SALUKIS (877-725-8547) or in person at the SIU Arena or McLeod Theater box offices between noon and 4:30 p.m. Friday. Individual tickets are $18 for adults and $6 for students.